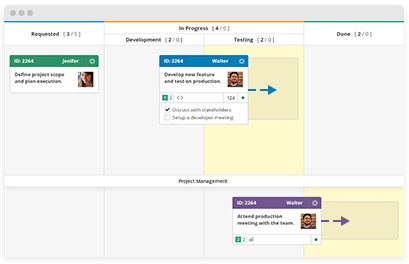 Kanbanize takes on the challenge of optimizing how you do support, helpdesk and customer care. 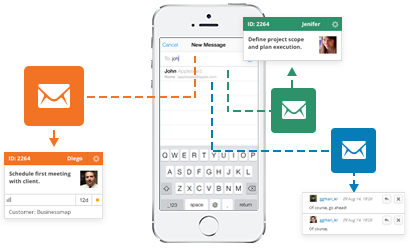 Transform your Kanban board into a flexible ticketing system with a simple email forwarder. Not only can you create and update cards via email, but you can also collaborate with customers and track all replies in the comments section of a card. Creating cards via email is as easy as sending a message to a predefined address. Just compose your message and hit send - a new card will be created! 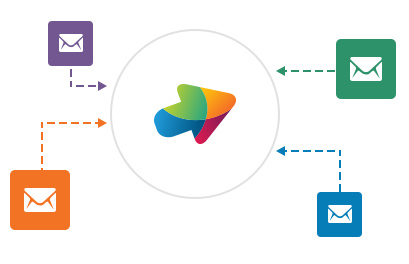 If a card is created over email, you can simply add a comment and the system will automatically send the message to the person who composed the initial email. All this gets tagged on to the comments of the card for better tracking and collaboration. If you send a card comment as email to someone and they reply back, besides adding the reply as a comment, the card can be moved to a particular column when in conjunction with the relevant runtime policy. When that happens you will know someone is expecting your action and the best part is that the system will track all waiting times automatically, making your metrics exceptionally accurate. 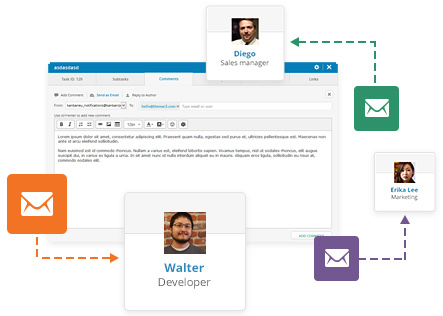 Redirecting your corporate email to Kanbanize will transform your simple Kanban board into an extremely powerful ticketing system that never forgets anything. On top of that, you can define time-based runtime policies, which can help you comply with the SLAs you have committed to your customers.